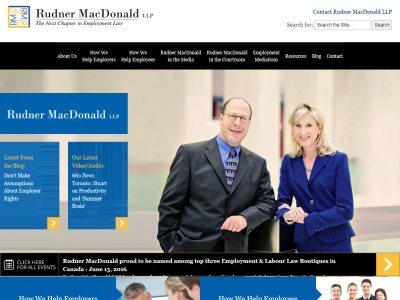 Rudner MacDonald LLP is an Employment law firm located in downtown Toronto, with a satellite location in Markham. Providing legal services for both employees and employers. Over 27 years of combined experience. Social Media & The Workplace. Social Media and the Workplace.